States, "The employees of the B & O. R.R. 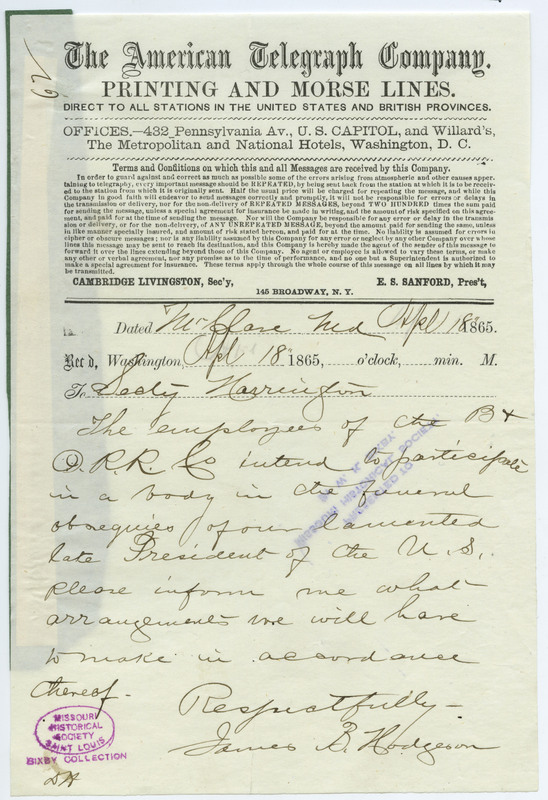 [B & O Railroad] intend to participate in a body in the funeral obsequies of our lamented late President of the U.S. Please inform me what arrangements we will have to make in accordance thereof. . . ."